Let me open this by stating that I firmly believe that Animals should be treated with dignity and respect, and should be given the right to live a wholesome and fulfilling life. Chickens should be allowed to preen and pluck proudly; cows the right to socialize as amicably as cows can, and pigs should be allowed to delight in their own filth. Right up until we slaughter them to either eat them or wear them, or some unconventional combination of the two – depending on your preference. I wanted to get that out of the way before I subject you all to a picture of Young Frank – much closer to Peaking than Old Frank – engaging in a game of “God Mag ‘t Weten” with his Cycling Sensei (his dad) after a 10 hour day riding singletrack in Alta, Wyoming. After all, if there isn’t a better way of saying, “We put it in the Big Ring today, Son” than chucking a dead sheep around your shoulders and calling it a ‘vest’, I don’t know what is. Too many kinds of awesome to count. Yep: I’m pretty much speechless, too. Looks like a still from an unreleased Terry Gilliam flick, flying through space on a curious cosmic sleighride. What’s with the magic carpet background and what the hell is the upturned porthole that your old chap is staring at so intently? Double rollneck, velveteen and dead animal, though. Definitely a win. I enjoy the combination of reading glasses with that crazy vest. Refined on the one hand, yet caveman-like on the other. Nice. I think I need your sweater; it’s damn cold out. I like that the ‘vest’ has pockets, in which you can store the dried meat products salvaged from the beast which you now wear. The zebra pelt in the back has faces on it. Is that your man bag on the table next to you? …and the coke. That table is overflowing with nose candy, isn’t it? A purse, zebra pelt, a porthole…… are you sure this is in Wyoming? Also, was it the babe in the dolphin shorts that you were staring at? That’s what I was thinking! There’s this “Pablo Escobar and Son” vibe. Like a baker and his son up early to make bread for sale. Only they’re making a giant party platter of blow. And Pablo Sr. gets to wear the pimpin’ fur ’cause he’s El Patron. I snotted espresso on my shirt and keyboard. Thanks. 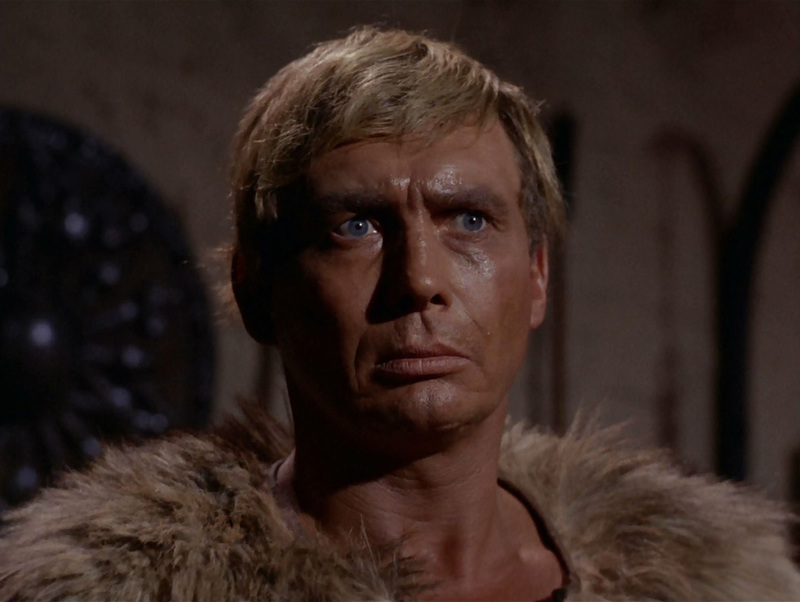 Did Spock shave his guns, too? With Baxter? Of course, riding a Cervelo seems… illogical. Merckx that is an insane photo. It seems more likely dad is training you in the ways of the Guild Navigators than those who push the big ring. Dad, a medical bag, a bronze port hole-o-blow, young Strack holding a large gauge snorting device. These are the memories a lad holds onto forever. 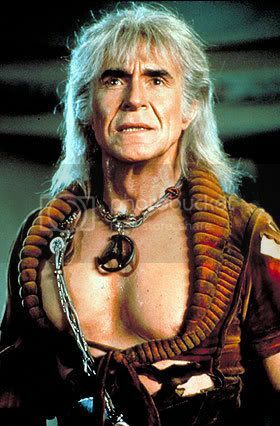 I’m not sure about Spock, but I’d say Kahn Noonien Singh keeps his guns shaved and primed. This photo raises many more questions than it answers. Who took the photo? Unposed, casual, paparazzi style. I’m guessing local law enforcement. And why is Strack Sr. glaring at Strack the Younger like that? The answer probably explains why only one is wearing the Dead Sheep of Victory. and yet the rest of the attire is matching. Practical, yet stylish, rope knit Irish turtleneck sweaters and Levis 505’s. Could it be that Frank is going away on some holiday travels and won’t be around to keep the site going so he deliberately pulled out this stunning photograph to send us into such a state of shock that we don’t notice the lack of new material until the new year, when he returns? I feel as if this photograph has been devilishly hidden until the moment was just right. And yeah, who the hell thought that vest needed pockets? There’s gotta be more than one animal in that thing. Photographs like this should stay hidden. I just burst a blood vessel! Your post really piqued my curiosity and I had no recourse but to post it for you. Discuss. So, I am catching up on Velominati posts. I read Nicole’s post on Alexi Grewal. I follow her link (http://400smith.wordpress.com/2010/09/26/is-rist-canyons-hiking-boot-man-alexi-grewal/) to what seems to be a cycling blog, and then link through to what seems to be a further cycling blog http://evilcycling.com/ – only to find that it contains this: http://evilcycling.com/wp-content/uploads/2010/11/chick-with-a-wolf.jpg (NSFW). Obviously there’s some “furry wild animal on shoulders” cultural meme cicrulating in US cycling circles. It hasn’t got to the Antipodes yet. Can’t say I’m too disappointed. i believe in animal rights too, but hell, if your going fast enough and an animal just happens to walk infront you and is unlucky enough to be hit, why not skin it and chuck it over your shoulder? And why is Strack Sr. glaring at Strack the Younger like that? Ha, this come up in the random article list…and it’s too good to miss the opportunity to check in on that photo once again! A Merckx – it took you 4 years of contemplation to come to that conclusion?! Saw this article for the first time yesterday; it also appeared in the random article list like it did with @Ron a couple of years ago. So technically I did not check in on that photo again, as it was a first time. What does the truth have to do with it?